to our Western Late Model Class! Katie Hagar is twenty three years old and is currently living in Sacramento, California. She is originally from Damariscotta, Maine and has been involved in racing since she was eleven years old. Katie started racing go-karts in 1996. In 2000 Katie then transitioned to racing in the Allison Legacy Series, Originated by the famous driver Bobby Allison. She then excelled within the Pro All Star Series in New England, racing an Open Wheel Modified and a Super Late Model. The determined New England native raced for the NASCAR Drive for Diversity Program and team owner Bill McAnnally,(BMR) in 2008 racing in the NASCAR Whelen All American Series in Roseville, CA. 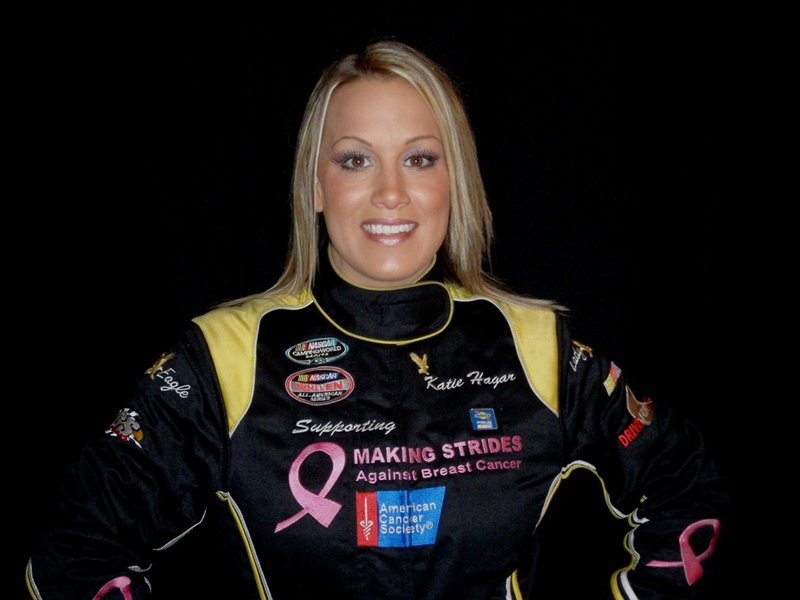 In the 2009 race season, Katie will continue as a NASCAR Drive for Diversity Driver and will race for Frank Jordan and Golden State Racing out of Roseville, CA. Katie can be remembered through her work as a strong supporter of the American Cancer Society, Making Strides Against Breast Cancer and the Make A Wish Foundation. Through her campaigning to raise thousands of dollars, Katie continues to set high goals and is in hopes to race a full NASCAR Camping World Schedule and or NASCAR Craftsman Truck Schedule in the future.